Copyright © 2019	Silvia Mazzocchin. Silvia studied journalism and human rights, with a focus on multimedia and visual journalism. She was born in the mountainous North Italy and grew up with a constant curiosity and yen for adventures. Studying in Italy, Germany, Poland and the USA, and visiting Nepal, India and other European countries has encouraged her to keep wandering in the world and telling the stories of the people she meets on her way. 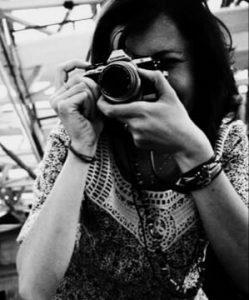 She pursued a Master degree in Human Rights at the University of Padova (Italy), and she spent a semester abroad at Boston University, with a focus on photojournalism, online journalism, investigative journalism and narrative journalism. She interned as a photojournalist for the Harvard Gazette, Harvard’s official newspaper, and shot photos for the online magazine BU News Service. Previously she collaborated and wrote for IlViviPadova and CafèBabel. She is particularly interested in diversity, intercultural dialogue, cities, community projects and local traditions and cultural expressions. Copyright © 2019 Silvia Mazzocchin.